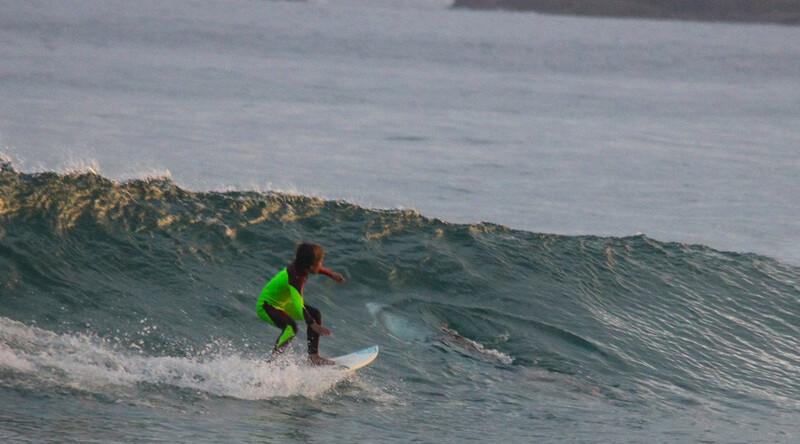 An incredible photo has captured the moment a 10-year-old surfer was photobombed by an 8ft (2.5 meter) great white shark in the waters off Australia, known for its high population of the predator and its periodic attacks on humans. Photographer Chris Casson captured the terrifying moment his son Eden surfed right into the path of the predator and, after noticing a dark shape in the New South Wales, water he zoomed in on one of the images to discover the mouth of a shark lurking in the path of his son’s surfboard. Casson admitted he was initially worried when he realised his son was in the the water with a shark but, after reviewing the photos with an expert, he was somewhat relieved to find that the shark was only a juvenile. “The body language from the photo showed a passive not aggressive from the shark. So I was ok with it and so was Eden,” he told RT. When asked if the incident would deter himself or his son from getting back in the water, the Australian responded “No we went surfing together next day.” His son said he did not see the shark when surfing, a good thing, as he would have “freaked out and fell off” if he did. Australia ranked second behind the US in the number of unprovoked shark attacks in 2016, according to the ‘Yearly Worldwide Shark Attack Summary’ published by the University of Florida. Last year saw the number of shark attacks in Australia reduced from to 26 from 33 in 2015.